Netflix have released the first trailer for the western anthology. 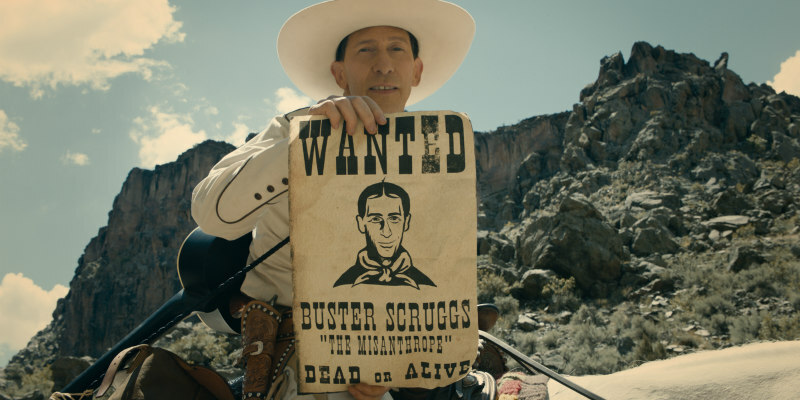 Netflix have several auteur driven movies on their autumn slate and one of the biggest is the Coen Bros' western anthology The Ballad of Buster Scruggs, which tells six stories set in the Old West. The ensemble cast includes James Franco, Liam Neeson, Brendan Gleeson, Zoe Kazan, Tom Waits, Tyne Daly and Tim Blake Nelson. The Ballad of Buster Scruggs is on Netflix and in select cinemas on November 16th.